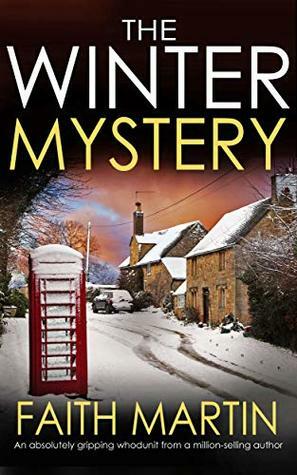 I wanted an easy, cozy British mystery to read in between family meals during the Christmas holidays, and this book perfectly fitted the bill. I read it in two days, about the same time the action takes place in the book. Only it was a lot more picturesque: Christmas in Oxford. Nice landscape, snowy hills, old stones, family and good food, especially goose and pudding! The good thing is that even if your own family reunion went totally awry, if you argued with family members about anything and everything, if the kids were over-excited and the dog knocked the tree down or ate all the food, chances are it won’t be as bad as Christmas with the Kelton family, where everyone hates the head of the farm, and where his sickly older brother is found stabbed to death in the kitchen. The narrator is Jenny, a plus-size professional travelling cook, who has been hired for the occasion (Christmas, not the murder, of course). Being the first witness and first suspect in the case, she takes it upon herself to investigate this case and find who in the family might have committed the murder (well… everyone… duh) and who really did and why. I don’t meant to be too harsh. This is a cozy mystery and it’s ok if there are plenty of tropes in this genre. My main problem is that I guessed the guilty party and the motive very early on, so I grew a bit impatient. Stylistically speaking, the writer loves her adjectives, and I would have preferred a stricter editing. It was fun enough, but I’d much rather spend Christmas with Miss Marple after all, even if the food might be not so good.